Lost In The Warp: Wishing you an EGG-ceptional Easter! NINJA style! Wishing you an EGG-ceptional Easter! NINJA style! May your treats arrive stealthily and leave you in good health and spirits! 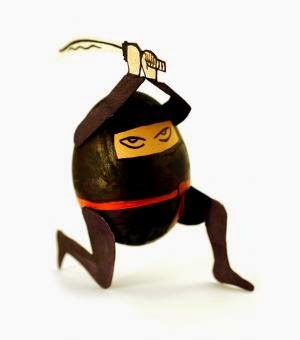 On a vaguely related note - 15 days left in the Soda Pop Miniatures Ninja All Stars Kickstarter! Deke, Kris, Ross and the crew were super nice to me at Gen Con last year so I figure the least I could do to say thanks is to throw their amazing looking new game a shout out. Thanks Soda Pop & Ninja Division! I would really like my readers to know that I think Soda Pop/Ninja division are a great group of true hobbyists who love what they do - and it is clear in their work. I also think that, following what I saw in the adepticon coverage - and the inclusion of a specific category in the Crystal Brush - that Chibi miniatures are really becoming a significant aspect of the hobby landscape, and that it is clear that these are the people who are leading the way! 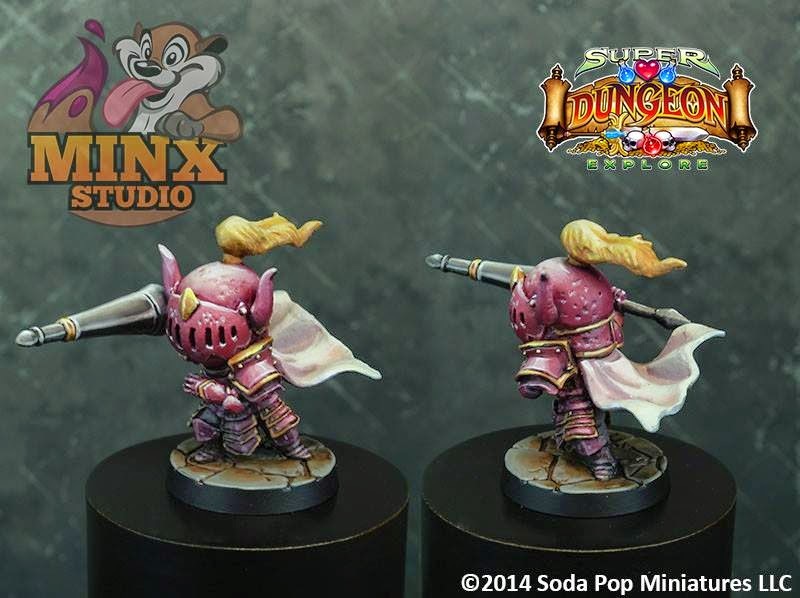 SUPER DUNGEON EXPLORE has shipped! I cant wait to get mine in the mail and to get painting some of these models. Check out this one by fellow Canuck Alex Nemes of Minx Studio. Check out the way he has shadowed this model - it really is a clever piece and beautifully handled. I told Alex I wished it were mine lol. Great work! .... Not enough? 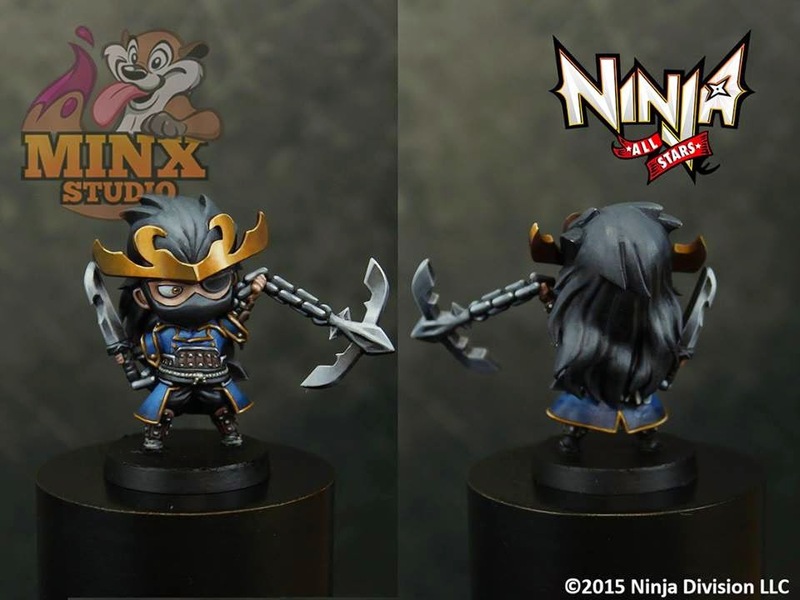 Ok one more pic from Alex - one of upcoming the Ninja All Star models! Ok back to hunting eggs. Have a great one folks! New post Wednesday.